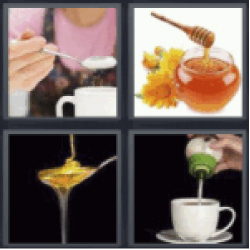 4 Pics 1 Word Sugar in coffee. Jar of honey. Honey on spoon. Tea cup.